And to further pressure the future of the car sales model, continued advancement in driverless cars and the increasing use of ride share services such as Lyft and Uber may convert some car buyers and slow the demand – thus decreasing the potential to originate new loans. One estimate suggests a possible 40% decrease in new auto sales. Now is the time to create a process to identify and price your most probable borrowers. Part of this process is already complete for many P360 clients as they aggregate data to prepare for CECL. Other clients are a step ahead as they utilize Mosaic’s expected loss model to help compare their pricing with future performance and profitability. This is yet another benefit of preparing for CECL. CECL Modeling Centralizing loan and borrower information becomes a powerful tool when combined within a relational database with economic data and a forward-looking model. Gain a stronger foothold to your future. 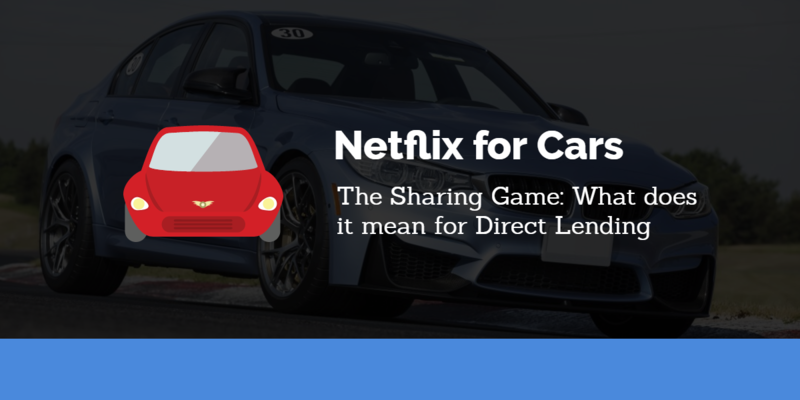 Consider and quantify as many external factors affecting new loan origination as possible and cut to the chase with direct lending because driverless cars, ride services and shared ownership may cut into your supply of good borrowers.